The airline is flying nonstop from Oakland and San Jose. Travelers can now book Southwest flights to Hawaii. If you’ve been wondering whether the buzz about Southwest’s potential to bring down fares was overblown, behold: Introductory rates from Oakland, California, to Honolulu started at $49 each way. Higher one-way rates include $79, $99 and $139. Plus, you can still check two bags for free. Fares from the West Coast to Oahu are often around $600 round-trip, so these prices are a rally-the-friends-and-family opportunity certain to get people talking about their next island getaway. The lowest fares generally aren’t available on the weekends, so weekday departures will be your best bet for saving money. When flight options went live on March 4, 2019, there were an impressive number of low fares available. The best deals got snapped up fast. The cheapest available flights are from major California airports. From Oakland: The first nonstop flights to Honolulu, Oahu take off on March 17, 2019. Service to Maui begins April 7, 2019, with fares as low as $49 nonstop each way. Connecting service to the Big Island starts May 12, 2019. 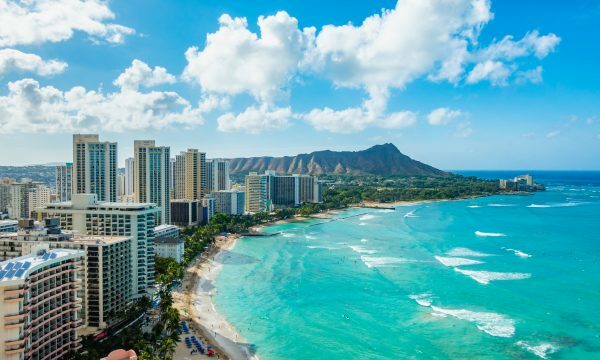 From Los Angeles: One-stop flights to Honolulu begin March 24, 2019, with fares as low as $88 each way. Travel to Maui is available starting April 28, 2019. Flights from San Jose (nonstop), Ontario, Orange County and Long Beach, California, to the islands can also be booked now, all with enticing introductory fares. For example, right now you can book one-way from Newark to Honolulu, but Southwest’s booking calendar is not yet showing return flights back to Newark. Atlanta also has outbound flights to Hawaii, but no return flights. The only way to be sure whether your city has connecting service to the islands is to check Southwest’s website and look at the Low Fare Calendar, where you can get a snapshot of options for departure and return dates. Southwest is also offering interisland service. Are other airlines dropping their prices? Amid all the talk of a new competitor entering the market, major carriers have begun offering attractive fares, too, though nothing compares with Southwest’s introductory fares. United, for example, is offering round-trip nonstop flights from the Bay Area departing March 19 and returning March 26 for just under $400. Longtime Southwest fans have been excited about the possibility of Hawaii service since rumors of the routes started nearly a decade ago. But not everyone is comfortable with the idea of not being able to select a seat in advance. For these travelers, Southwest offers the opportunity to pay extra to get into an earlier boarding group, meaning more seats will be available to grab when you step onto the plane. The added cost, often $40 or $50 per person each way, can make low-fare flights less attractive, though. Which Hawaiian island should I choose? So you’re ready to jump on these introductory fares — but now you’re struggling to pick an island destination. Each Hawaiian island is unique, so you’ll want to pick one that suits your vacation style. All of the islands offer beautiful beaches, excellent snorkeling and breathtaking hikes. Honolulu, on the island of Oahu, is where to fly if you want to see Pearl Harbor, while Maui offers long stretches of golden sand beach and a waterfall-lined car trip called the Road to Hana. Meanwhile, the Big Island is the only place you have a shot at seeing an active volcano. And if you’re waiting for Southwest to begin service to Kauai, that’s where you’ll find lush tropical foliage and the beautiful Napali Coast, best viewed by boat or helicopter tour.